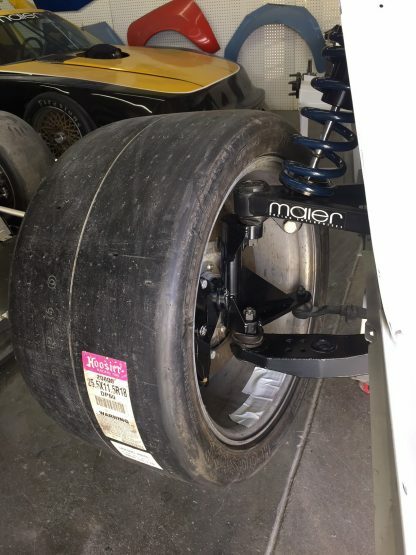 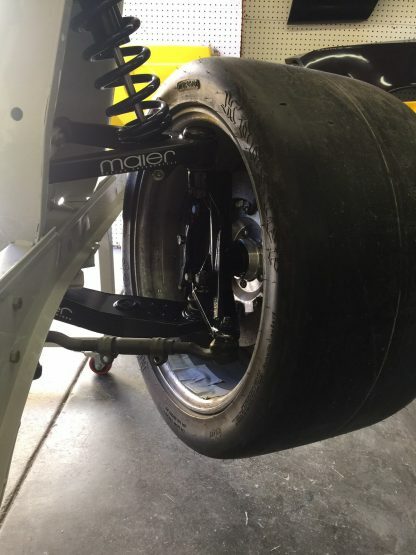 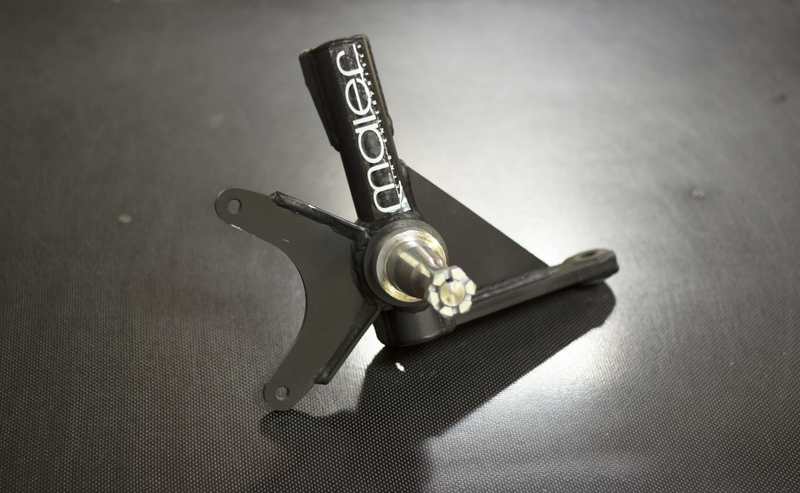 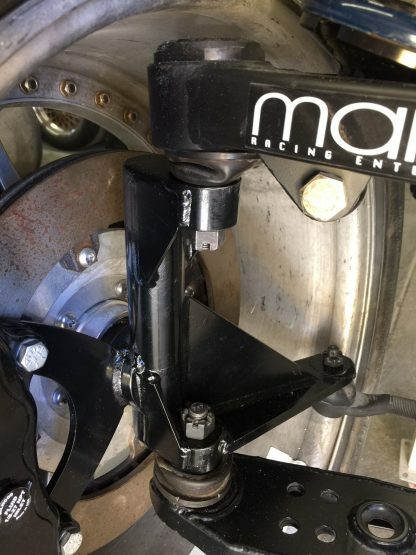 Maier Racing has been working on a NEW 1″ drop spindle for the 1965-70+ Mustangs. 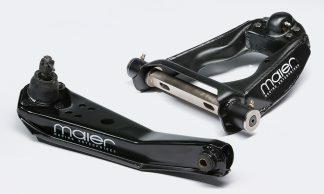 1) We took a 1967 spindle design and changed it over to a 70-73 snout (bigger bearings). 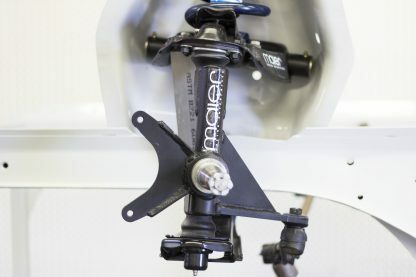 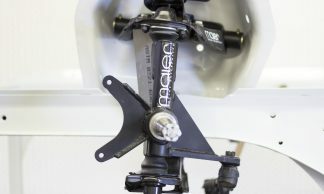 2) We can sell them with or without brake mounts. 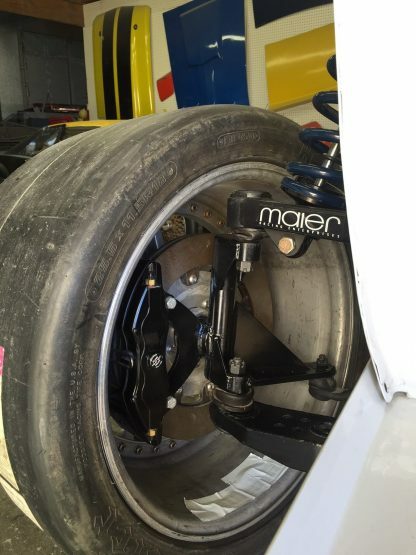 The current off the shelf item is compatible with Wilwood 140-12945 brakes and hubs. 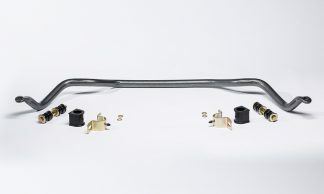 3) We moved the steering pick up point in 3/8″ for quicker steering and to help with tie rod end clearance. 4) We raised the snout 1″ to lower the car 1″. 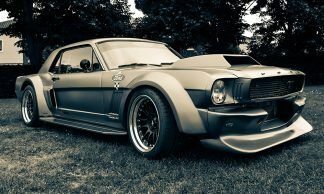 5) No need for the Shelby drop. 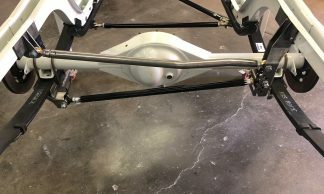 keep the stock geometry for the upper and lower control arms. 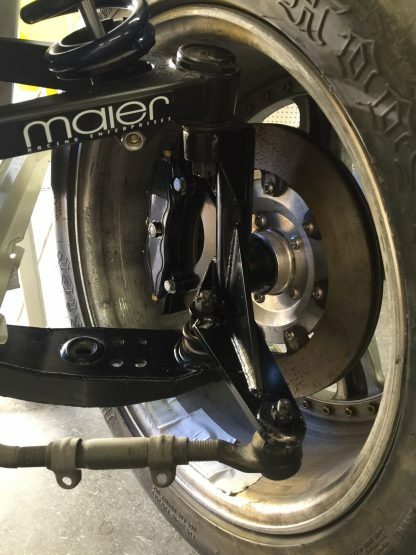 In some tire combinations this may be good for you. 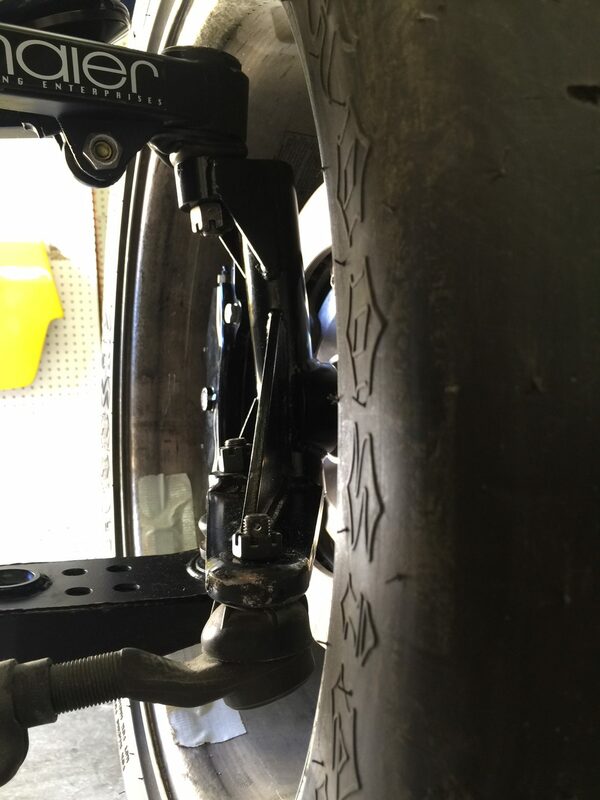 The big 315 x 18 tires may need less camber gain than the older Blue Streak type big side wall tires. 6) Not every rim but… we have 18″ wheels fitting over the upper ball joint and you can get bigger wheels under the car. 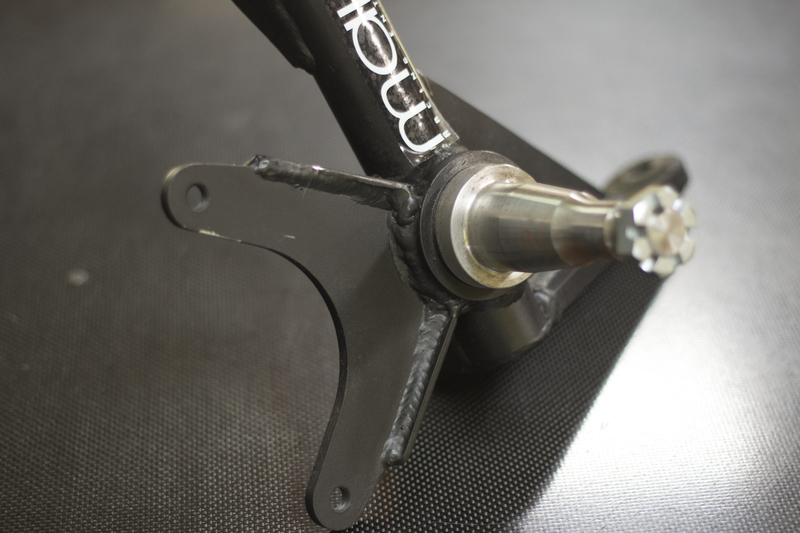 In some cases you can get as much as +2″ of rim inboard. 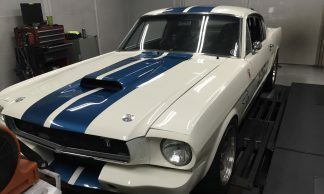 1965 Mustang with 18 x 275 tires with stock or “minimal” massaging on the fender lips. 8) 3/4″ fine castle nut, 1967 Tie rod end.